This is the replacement for the Optimus 5502 Data Collector. Please note that state ID barcodes are not nationally standardized and your state’s barcode requirements may not include all of the information or be formatted in a way that can be imported into AIMsi. 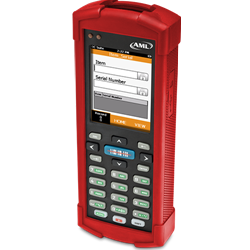 In these cases any information not scanned with the barcode may be manually entered into AIMsi as desired.